Check out this week's bulletin and inserts and stay connected to what is happening at Bethel. Click HERE to see this week's bulletin. Throughout the season of Lent we have the opportunity to fast as a congregation, though possibly in different ways. Click HERE for a list of options that you can choose from as we seek to humble our hearts, make us more tender in prayer, and increase our capacity to receive from the Lord. On the first Sunday of each month we bring items to church to replenish the baskets we assemble for the newcomers to our country/state/city/church. We are so glad the Lord is bringing the nations to our door! 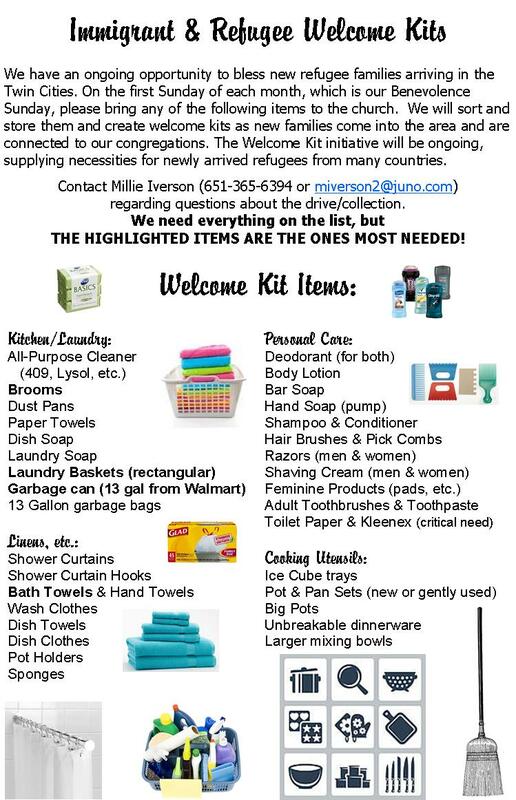 Click HERE for the list of items needed for the Welcome Kits.